Google today dedicated its doodle to veteran Kannada actor Rajkumar and paid a tribute to the star on the occasion of his 88th birth anniversary. 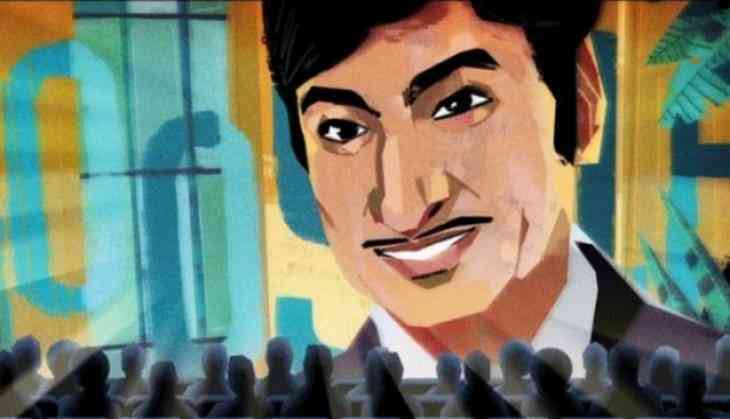 The doodle sees a larger-than-life Rajkumar on the silver screen while the audience sitting in a theater cheers for him. The doodle will be seen for the entire day today. Born on April 4, 1929, as Singanalluru Puttaswamayya Muthuraju, the legendary actor is a four-time National award winner, a recipient of the Padma Bhushan (in 1983) and the Dadasaheb Phalke Award (in 1995) for the lifetime contribution to Indian Cinema. He started his film career in 1954 in the film ' Bedara Kannapa' and went on to star in over 220 movies, his last being ' Shabdavedhi' in 2000. In 2000, the Kannada icon had to face a bad phase, when he was kidnapped by sandalwood smuggler Veerappan and was held captive for 108 days. The actor died of cardiac arrest at his residence in Bangalore on April 12, 2006, at the age of 77.